In the context of a city, there is an important distinction between two key types of data collection intentions such as: Organic Data and Purposeful Data. Organic Data is a byproduct of some transactional process of daily life within cities, like communication, online purchase, tax payment, mobility and so on. Purposeful Data is a collection through surveys. For Example: census, unemployment rate, household income, political polls etc. The difference between organic and purposeful data is important as they serve different use cases. Organic Data are useful for measuring fast urban dynamics whereas Purposeful Data is useful to target slow dynamics which are taken as mean change over Month, Year, or even Decades. For example, daily dynamic traffic patterns will be considered as fast dynamic. Increasingly dynamic source of information about the urban areas are getting generated by passive technologies supplying a variety of real time measures. Various Sensor technologies including CO2, Temperature, Humidity, Noise and Light. Such sensors can be deployed at various scales ranging from city wide implementation to block level. Such an interconnected monitoring can enable various innovative applications such as geographically targeted warning to those with respiratory problems, advice to pedestrian to avoid polluted areas. Range of emerging technologies linked with smart phone. Sensor can be deployed to detect presence of the smart phone through which foot fall can be estimated. Selected Application can provide streaming location data either in background or as part of the app functionality. Google usages pooled location data to measure speed of drives along road lengths which used to estimate congestion level on the road which appears on the google map. GPS receivers are installed on moving object within the urban areas like the Buses or Taxis. Closed Circuit Television (CCTV) is widely used for real time surveillances. These devices are used for a variety of purposes ranging from security measures to traffic management applications. So far we discussed various sensor technologies that generate data about people mobility. However human is also a sensor who generates a wide variety of data on social media platform. Data generated on these platforms provides an extensive resource on which a wide variety of urban research has been conducted. 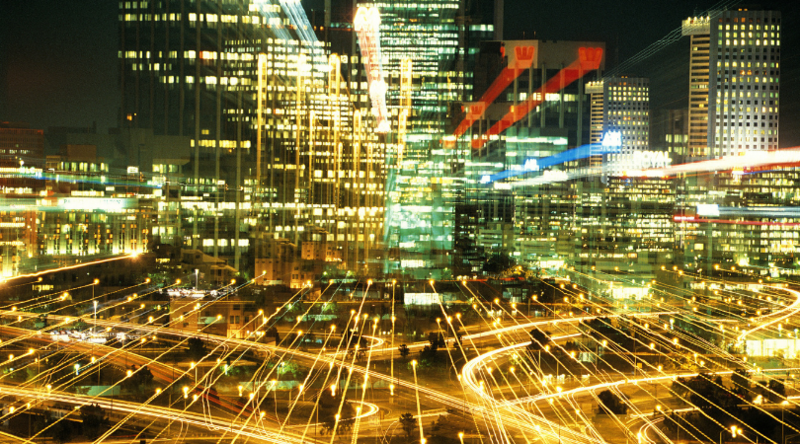 Every City generates enormous amounts of data. When data is consumed for other purposes than it was originally generated for, it becomes more valuable. For example, data collected to send electricity bill can be latter use by another provider to consult power saving ideas for the household purposes. Using data for other purposes is a remarkable way of inspiring urban innovation. Now, let us talk about how can a city make these data easily available to anyone or anything which can make city smarter? How can a city open up its data? Open Data is the cornerstone of open governance and transparency and it primarily deals with innovation. New ideas and new solutions immerse when rich data is easily available. Primary: This means that the data is from its source and is in its most granular form without being aggregated or modified. Open data should be the raw collected data. Timely: Data should be made available as soon as it is generated. Accessibility: Open Data should be available thoroughly connected platform. It should be available in multiple formats and not require any special technology to access it. Machine processable: Open Data should be easily integrated and processed by other computers and applications. Nondiscriminatory: Open Data should be available to anyone without the requirements of, say, registering for the data. Nonproprietary: No one should have exclusive control over the data. Data should not be made available in special format that require an expensive piece of software. With these eight qualities met, data is said to be open. It can now be used by urban innovators for innovation. With Rapid Urbanisation, cities needs lot of new ideas and innovators. Most of the cities does not have enough resources to address the increasing challenges of rapid urbanisation. To build smarter cities, we need to expand traditional public-private partnership and engage all the talent and capital available. Many governments are opening its repositories of data and making it easily accessible via open data portals. This data may be related to crime, pollution, economics, libraries, finance, infrastructure, and more. What stories and ideas live within this data?What challenges and problems can be solved with this data? Thousands of smart urban solutions are getting created by innovative ideas with open data all over the world. Many of these solutions are happening because of individuals’ focus on government data to do good social work. Open Data is a content platform which gives an opportunity for problem solvers to be engaged. We create marketplace where entrepreneurs can see an economic opportunity. easily available Open data providing content on which they can build commercial solutions which can be monetise at the marketplace. Cities can not address all current and future needs by themselves. They need more wider participation to fulfil the citizen expectations. Open city data is the easiest way to engage talent in urban innovation. As a consequence, this also means that open data must be core to any smart city strategy.